Patio Door Reapirs in Riverside, Perris & Moreno Valley Your browser does not support the audio element. Somewhere a great idea was lost. The idea that you should be able to get a job done (and done well!) at a fair price without being overcharged for unecessary parts and labor over and above what's necessary to solve your problem to your satisfaction. At Empire Doors we don't perform work that's unecessary. We will always treat you well, providing the same care and respect whether you live in a modest home or a multi-million dollar mansion. All we know, is this is your home and you should be treated the same as everyone else. We treat everyone with the same care and respect as we would like to be treated ourselves. It is the right way to do business. We will never 'run up the bill' to replace parts that don't need replacing. Our trained technicians will discuss the problem, providing you with a cost effective solution to get you rolling at the lowest possible price. Once the work is complete, we will show you how well your patio door works. We will get you rolling, guaranteed! Finally, We leave the work area as clean as we found it. Why should you have to clean up after us? It makes no sense at all and it's not fair. But we have all been through it! Sliding patio doors are popular for contemporary homes. 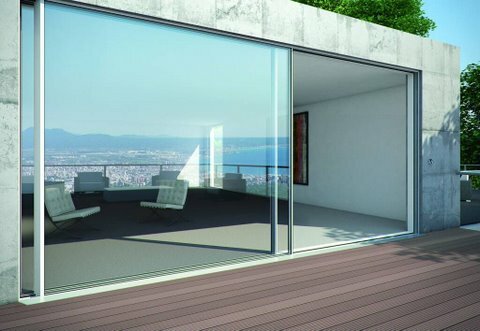 They are simple, easy to operate and provide large panes of glass with unobstructed views. They're available in a variety of frame and glass options to complement many home designs. While typical sliders are five to six feet wide, they are available with doors that are eight to ten feet wide. These large panes of glass provide added light and picturesque views. Why is it so difficult to open and close? The patio door slides on rollers that are located in the bottom of the door. The top track acts as a guide. Over time the bearings and or wheels wear out and your rollers become difficult to move or stop moving altogether. We specialize in fixing and replacing worn out rollers and wheel assemblies. We can also replace damaged tracks, replace locks and handles so you can enjoy your sliding door once again. Sliding door roller repair and replacement is an effective solution and can save you the homeowner a lot of money, while allowing you to enjoy your patio door again. Lake Elsinore sliding patio doors - Moreno Valley door sliders, Riverside interior sliding glass patio door repairs. 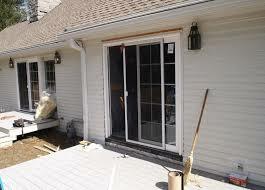 we repair patio door track and rollers, replace glass patio door, new patio doors installed. 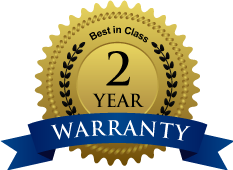 We offer a 24 month guarantee on all service work performed. 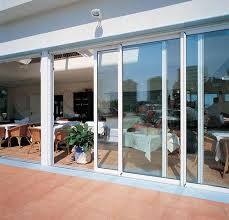 All patio door parts are guaranteed by the manufacturer or distributor. You can make a broken slding patio door work like new by replacing the bottom wheels also known as rollers. If the patio door track is damaged, warped or twisted it can also be replaced. You'll save thousands compared to a new patio door and we guarantee to get you rolling again. We service and repair broken patio doors in Palm Springs and surroudning cities! Free, no obligation quote right over the phone - call 951-363-3339 today and experience the superior service we provide. We can replace patio door track so it slides like new again! Experienced replacement sliding patio doors service, repairs and replacement parts for patio doors and mirrored interior or exterior sliding glass doors. New sliding door rails and sliding door tracks installed on interior and exterior sliding doors and mirror closet doors. Residential and commercial sliding screen door repairs. 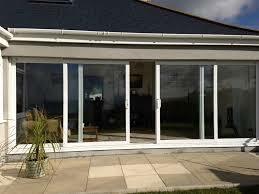 Empire can replace vinyl sliding patio doors and replacement sliding patio doors at unbeatable prices. We install new sliding door hardware tracks and sliding glass door tracks for all common sizes and types of closet doors (interior sliding glass doors) and exterior sliding glass doors.